The Quiltzette: New, New, and More New; Demo This Week; A&L Meets This Week; Much More! 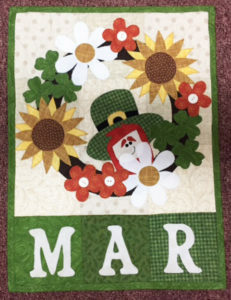 Join us on Thursday, February 16 at 12:30 p.m. when Karen will discuss and demonstrate how to avoid common problems when adding borders and cornerstones to your quilts. This will be a good presentation for newer quilters and a refresher for experienced ones. Bring a friend. No RSVP necessary. Immediately following our Third Thursday Demo, the Art & Landscape Quilt Group will meet at the shop. Join anytime. 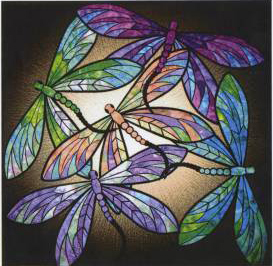 This is a growing group whose members are producing some amazing works of art. No RSVP needed. Come and be inspired! 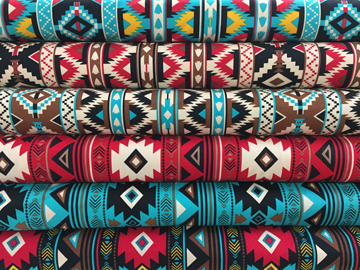 This collection of traditional southwest fabric arrived last week. Such vivid colors. And these fun bolts also came in last week . 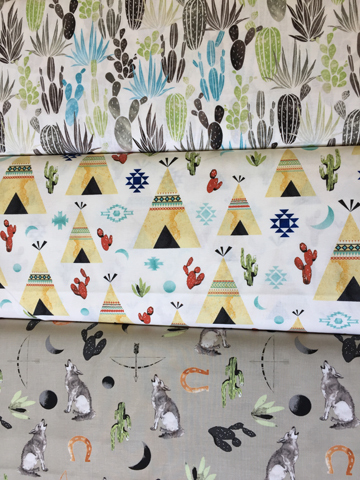 . . wolves, teepees, cactus, and more. We have this kit in stock now. It measures 40" x 40" and the kit includes everything except backing fabric for only $109. The sample is currently hanging in the shop window. Free shipping for our out of town customers this week only! We love Michelle Watts . . . and her beautiful patterns. 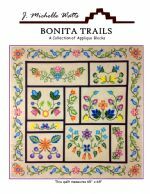 This is her latest, Bonita Trails. It's a collection of applique blocks. The finished work of art is 65" x 65". The individual blocks would make beautiful pillows or small wall hangings if you're not up for making the entire quilt. We're always on the lookout for what's new, useful, and interesting for quilters. Here are two of our latest finds, both in stock at the shop. 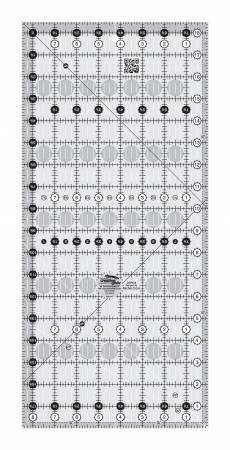 The newest ruler from Creative Grids is a winner - 8 1/2" x 18 1/2". Perfect for cutting wide borders. 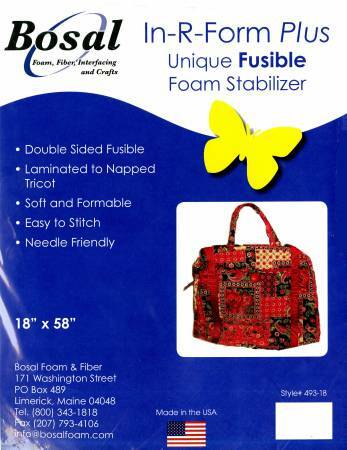 Double-sized fusible, lightweight, and easy-to-sew foam stabilizer. Great for bags, totes, and placemats. We’re working our way through the year creating these adorable raw-edge applique wall hangings. Make them with or without the month at the bottom. These fit perfectly in the small wire stands. With the month the finished size is 12 x 16; without 12 x 12. These are very fun to make. 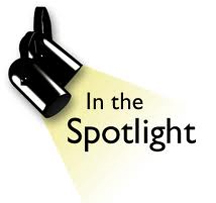 Join us for the March edition and you can backtrack and do January and February. Karen will teach this class. 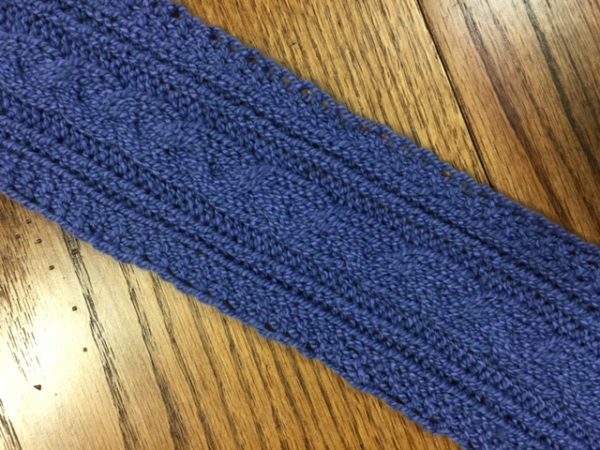 Make a cozy earband while learning to do a provisional cast on, cable and twisted stitches, and end with a kitchener stitch. Anne Worthington will be your teacher. 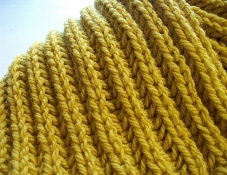 Learn to knit this large, lofty ribbed fabric and apply it to a future project. Bring DK or worsted weight yarn and appropriate sized needles to class. For intermediate knitters. 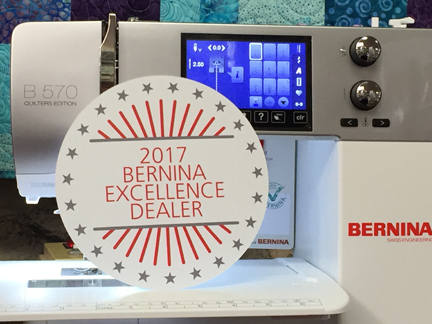 We're proud to announce that, once again, we've been named an Excellence Dealer by BERNINA. The Excellence Program recognizes dealers who create strong relationships with their customers by providing superior customer service and support. Thanks to our wonderful customers who support us as their BERNINA dealer! Learn how to Needlepunch on your BERNINA sewing machine. Learn embellishment techniques with roving, yarns and fabrics. 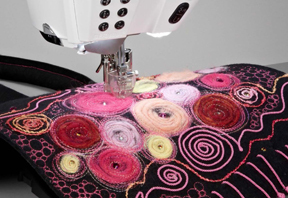 See how to use it for embroidery and be tempted by Software 8. Cindy and Aimee will be your guides. 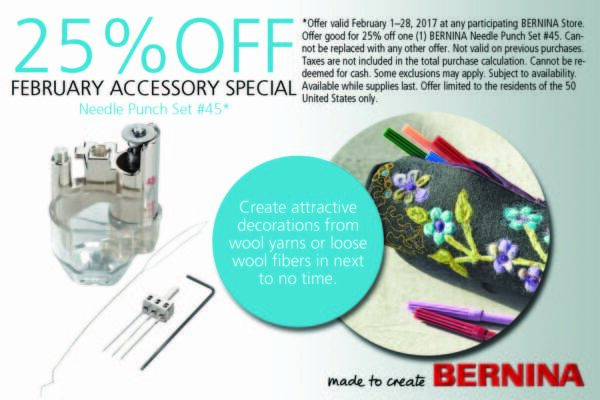 Save 25% on the BERNINA Needle Punch Set #45 during the month of February. There are two different ones, depending on your machine model. Note: You do need a special stitch plate to use the needle punch tool. 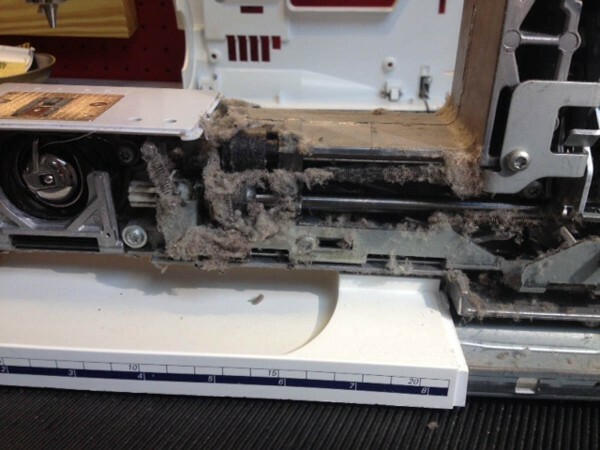 From the BERNINA We All Sew blog, read here why you should not use compressed air in a can to clean lint from your sewing machine. This week only, save 20% on either the regular size or the new mini Wonder Clips. 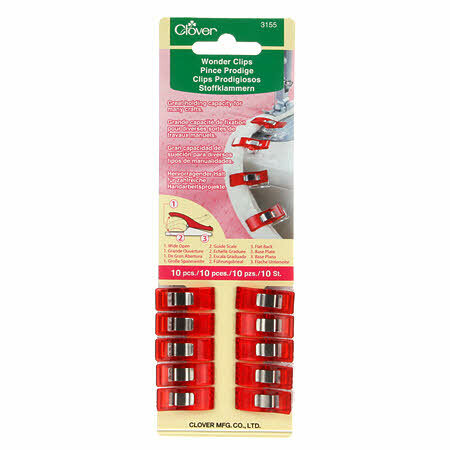 You can never have too many of these in your sewing room, so pick up an extra 10-pack this week and save. Offer expires on Saturday, February 18 at 6 p.m. Limited to stock on hand. Limit two packs per person. No phone orders. You MUST mention that you saw this offer in the Quiltzette to receive the discount. Remember to Like Us on Facebook!